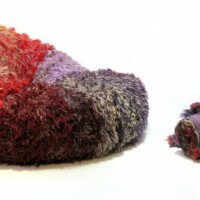 Italian design studio CROP have created the PomPon chair. 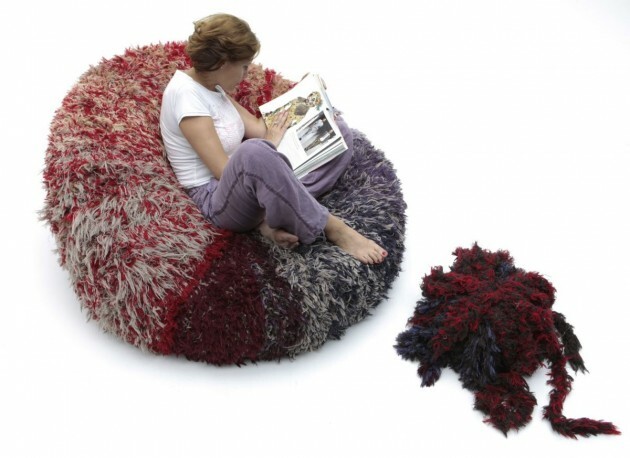 It is a large armchair-pouf, produced entirely by hand stitching and twisting strips of wool fabric, linen and cotton. 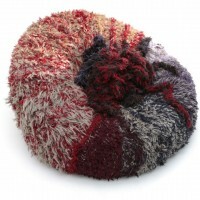 The creation was inspired by the technique of wool pompoms, proposed here in a “oversized” version. An “alternative” seating, light though slightly large, to be located in any atmosphere and strictly covered in natural yarns. 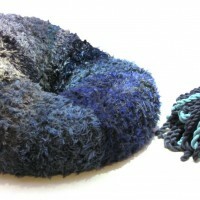 In this case the wool is obtained from the recyclage of 2700 m. of selvages, waste material from the textile production. 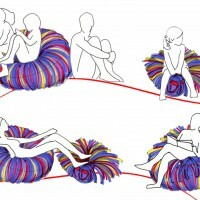 The seating consists of two elements: a donut and a pompom, which can be used together or separately, depending on the different usage, assembled by simple insertion. Visit the CROP website – here.